Blel Kadri is one point in front of Pierre Rolland in the KOMs classification. 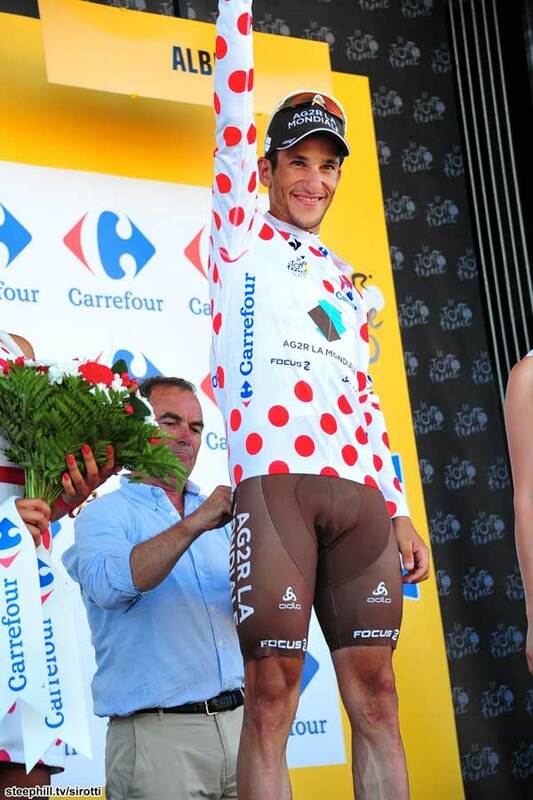 With the Pyrenees fast approaching on stage 8 the battle for the polka-dot jersey just got hotter. Are the French grimpeurs back? One things for sure, the climbers will have a challenge on the assent pitched as the highest in the Tour... Col de Paiheres (2001m, cat HC, 15.3km at 8%). The question is who will be the first up the climb to win the Henri Desgrange prize? The stage should show who is in contention. After today's stage 7, Blel Kadri said, “Today, the strategy was to be present in breakaways. It was important for me to take my chance because I knew that I was able to get this polka dot jersey. I’m happy to wear it now because I was really disappointed not to obtain it after the 2nd stage in Corsica, when I was tied on points with Pierre Rolland. This jersey, I didn’t get it alone. Romain (Bardet) has done a great job on the 2nd category climb. 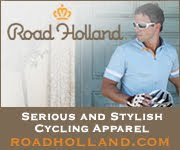 He was 3rd at the top this is what allows me to get the jersey one point ahead Pierre Rolland. The AG2R LA MONDIALE Team defends these values of solidarity and fighting spirit throughout the year and this podium rewards our collective work.